Most of the hotels available in Lachung (a small village) are with basic amenities and limited inventory. Please do not compare the facilities and category of these hotels with any city hotels like in Gangtok, Darjeeling.Even if you have booked for 3 star categories like superior / luxury, the hotel at Lachungwould be simple one. Only Yarlam Resort in Lachung meets the three star category. It is an expensive property compared to others and can be booked with a supplement costs. Due to winter season because of heavy snow, vehicle will be able to drive till Snow point on the way to Yumthang Valley. Excursion to Zero point (Yumesamdong) is optional which the guest can avail after payingan extra cost. Approx. cost of the excursion is Rs. 3,000 per vehicle. This extra payment can be paid directly to driver also if not booked in advance with us. InLachen (a small remote village) almost all accommodations are very basic like guest house / home stay evenwhen you have opted for Deluxe /Super Deluxe/ Superior /luxury package. Please brief this to your guest. 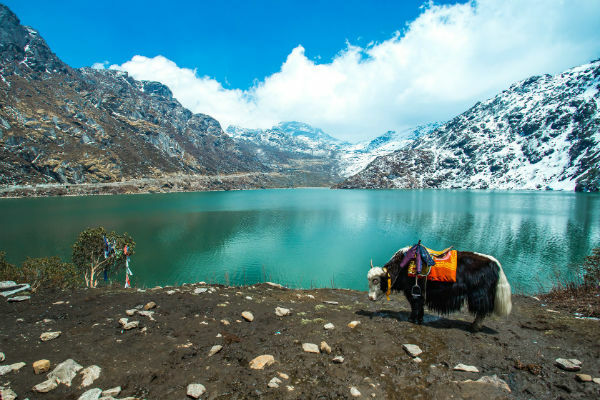 As per army’s restriction, travellers below 10 years and above 60 years are not allowed to visit Gurudungmar Lake beyond Gaigong Army gate due to low oxygen level in high altitude for safety reason. GUESTS/AGENTS ARE ADVISED TO GO THROUGH THE UNDER MENTIONED TERMS AND CONDITION ALONG WITH THE CANCELLATION POLICY IN DETAILS. PERMITS :The hotels in North Sikkim do not take any responsibility for the issue of permits. For any cancellations or no show, even if it is because of non-receipt ofpermits, full cancellation shall be applicable and there will be no refund. NATURAL CALAMITIES:Due to widening and surface improvement works, North Sikkim highway is undergoing through the initial teething phase. It is prone to small landslides during rainy season; under such circumstancesif guests are unable to check in due to road blockage midway 50% of the booking amount shall be refundable. During major slides when the highway remain closed for more than a day as a result of which permits are denied for travel, the hotel shall refund 90% of the booking amount to the guest. The rest being administrative cost.